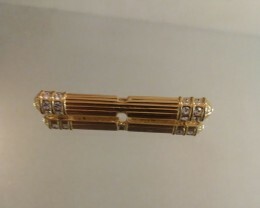 THIS PIECE IS UNUSED, PART OF A LARGE COLLECTION I WAS ABLE TO PURCHASE FROM A ESTATE SALE. 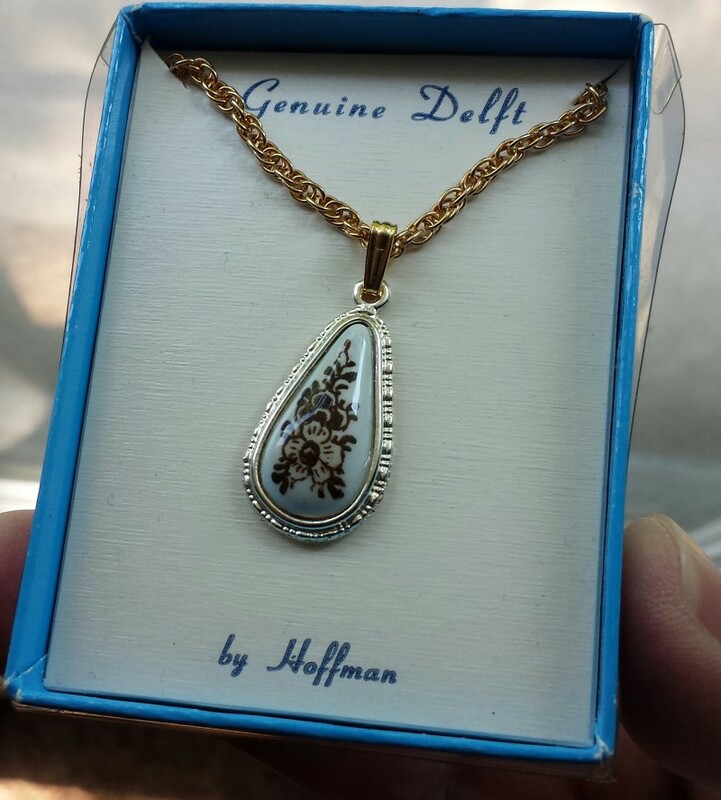 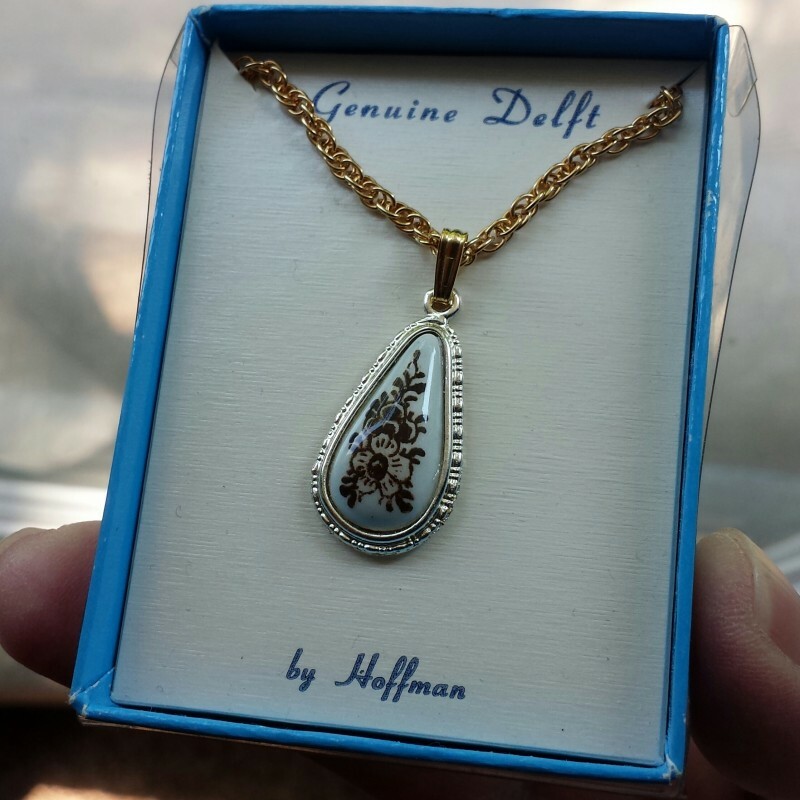 THE DELFT LINE IF FROM HOLLAND. 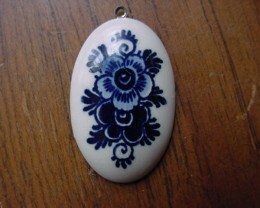 THEY ALL FEATURE BEAUTIFUL PORCELAIN HAND PAINTINGS… THIS ITEM IS FROM 1950-1960. 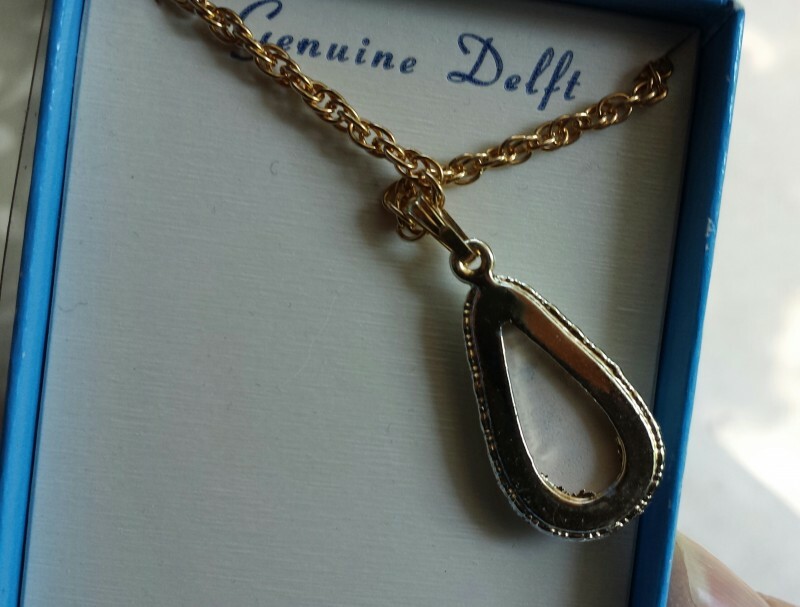 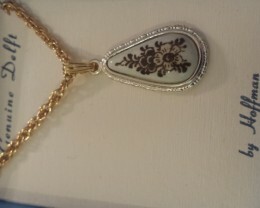 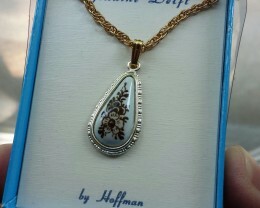 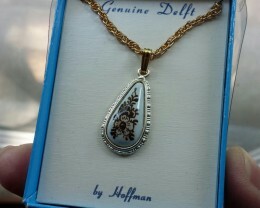 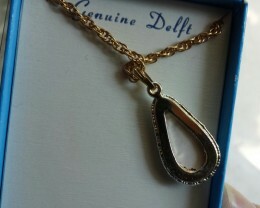 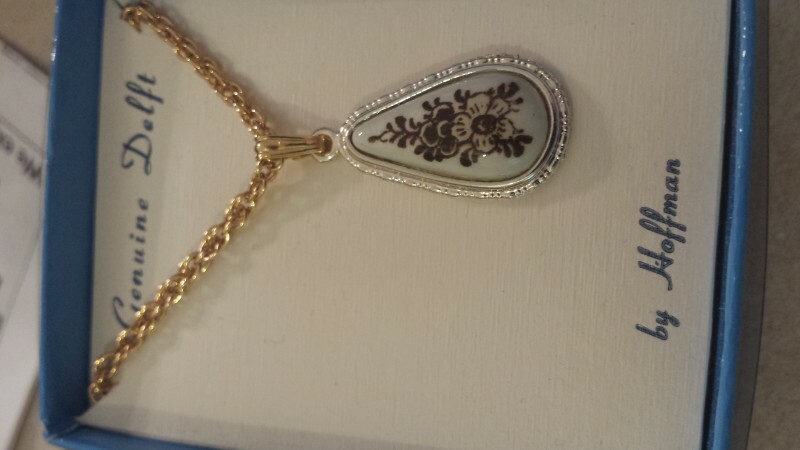 LOVELY GOLDTONE CHAIN WITH SIVER ACCENTS ON PENDANT. 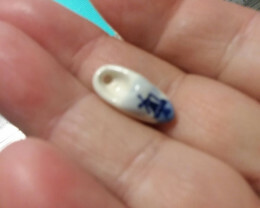 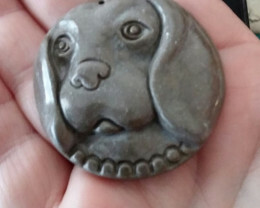 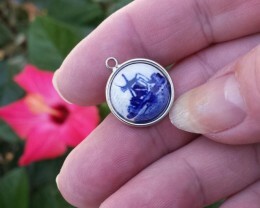 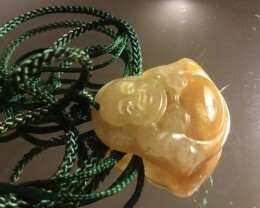 SIZE OF PENDANT IS ABOUT 1 INCH. 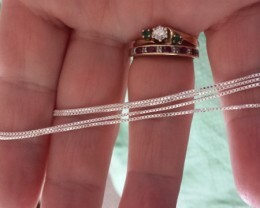 , CHAIN LENGTH IS 18 1/2. 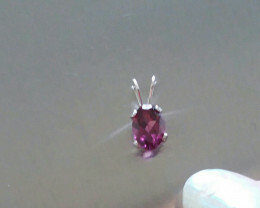 CARAT WEIGHT IS OF ENTIRE PIECE.